We are deeply saddened by the passing of a true public health hero, Bill Busse. By the age of 40, Bill had already endured kidney failure, blindness in one eye and a leg amputation because of poor circulation. 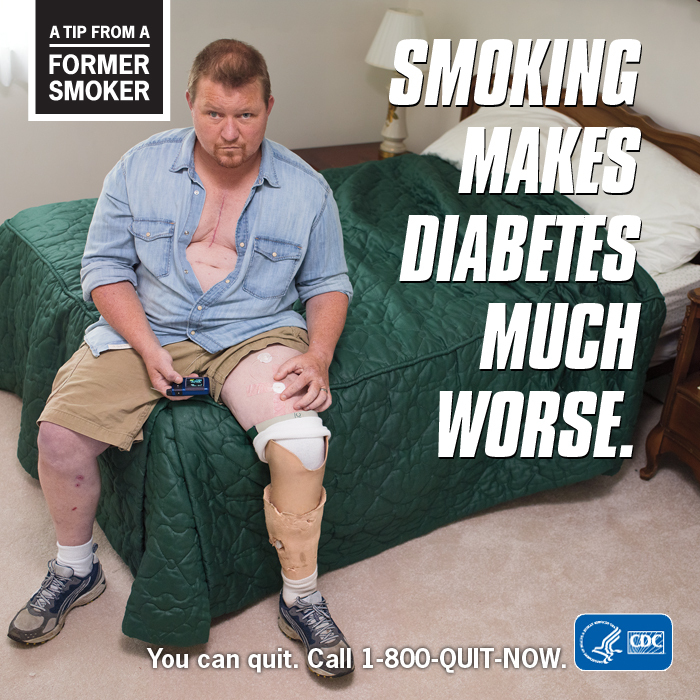 These were all complications from his diabetes made much worse by his cigarette smoking. His serious health problems did not stop Bill from bravely coming forward to help warn other smokers of some of the dangers they faced if they didn’t quit smoking. Nor did his health problems stop Bill from enjoying time with his kids. Our thoughts and prayers go out to Bill’s wife, two children and two step-children, as well as his parents and his sister. Please direct any questions and/or condolences to TobaccoMediaCampaign@cdc.gov. The CDC will make sure that your correspondence is forwarded to Bill's family.